Delivers 36 Highway MPG and 29 City MPG! This Honda Civic Coupe boasts a Regular Unleaded I-4 2.0 L/122 engine powering this Variable transmission. .* Visit Us Today *A short visit to Capital Honda located at 2651 Jolly Rd, Okemos, MI 48864 can get you a trustworthy Civic Coupe today! Scores 36 Highway MPG and 29 City MPG! 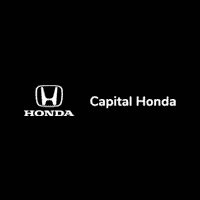 This Honda Civic Coupe delivers a Regular Unleaded I-4 2.0 L/122 engine powering this Variable transmission. .* Stop By Today *Test drive this must-see, must-drive, must-own beauty today at Capital Honda, 2651 Jolly Rd, Okemos, MI 48864. Boasts 36 Highway MPG and 29 City MPG! This Honda Civic Coupe boasts a Regular Unleaded I-4 2.0 L/122 engine powering this Variable transmission. .* Visit Us Today *Test drive this must-see, must-drive, must-own beauty today at Capital Honda, 2651 Jolly Rd, Okemos, MI 48864.